Mount Whitney, Sierra Nevada, California, USA. Distances in miles. 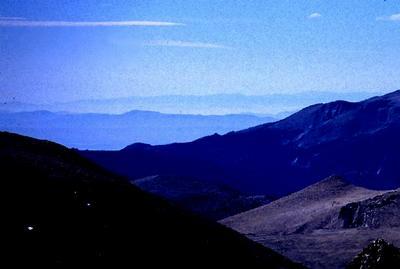 Note San Gorgonio mountain, 190mi/306km. Photo credits: John Samson, 7 August 2003. Data Source: 1" NED DEM from USGS.